Why would anyone call these “bretzels”? Pretzel is a perfectly fine name. Some days, I worry that I haven’t a clue. Other days … I’m resigned to it. It’s okay. It’s kind of peaceful. 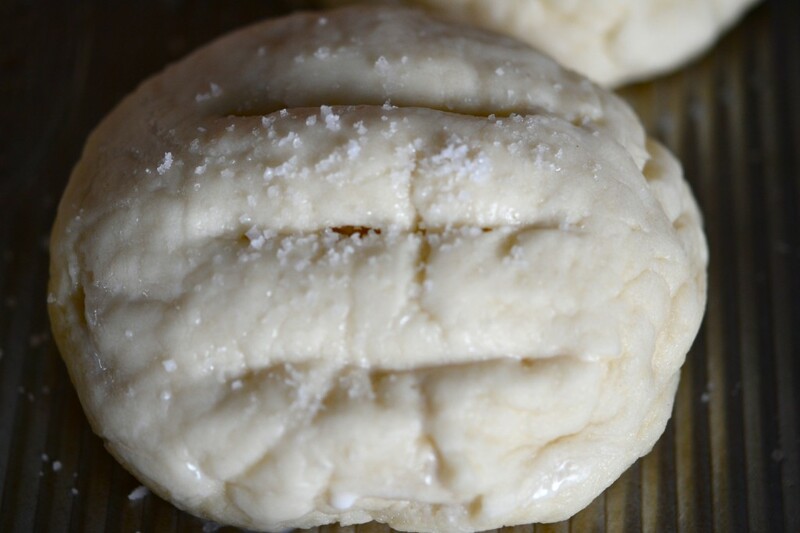 UPDATE: Come see how to make this dough into Pretzel Bite Snacks! 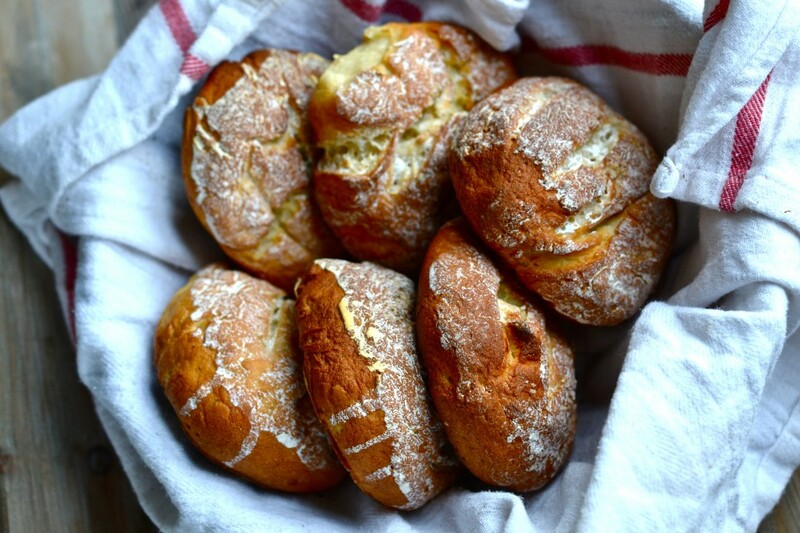 These rolls are so nice and crunchy-chewy on the outside, tender and almost tangy-sweet on the inside. Maybe spring for some good coarse salt to sprinkle on top. They make great sandwiches, too. They’re multi-taskers! Like you. I bet you multi-task with the best of them. …until you add a bit more flour, and it, well, it’s still kinda wet, but a bit more solid. Divide it into roll-like portions, and dust them with flour. Roll each into a ball, then flatten a bit into a disk. And set them to rise. Look at that rise. Seriously. Smooth and lovely little dough babies. Then boil in a baking soda bath. Slice the top and sprinkle with coarse salt. Et voilà. Place the flour, xanthan gum, buttermilk powder, yeast, cream of tartar, baking soda and sugar in the bowl of your stand mixer. Whisk to combine well with a handheld whisk. Add the salt, and whisk again to combine well. Add the cider vinegar, butter and egg whites, and mix to combine well. With the mixer on low speed, add the water in a slow but steady stream. Once you have added all the water, turn the mixer up to high and let it work for about 3 minutes. The dough will be wet. With the mixer on low speed, add more flour by the tablespoon, a tablespoon at a time, until the dough starts to pull away from the sides of the bowl in spots. It should still be relatively wet, but not so wet that parts of it don’t hold together. 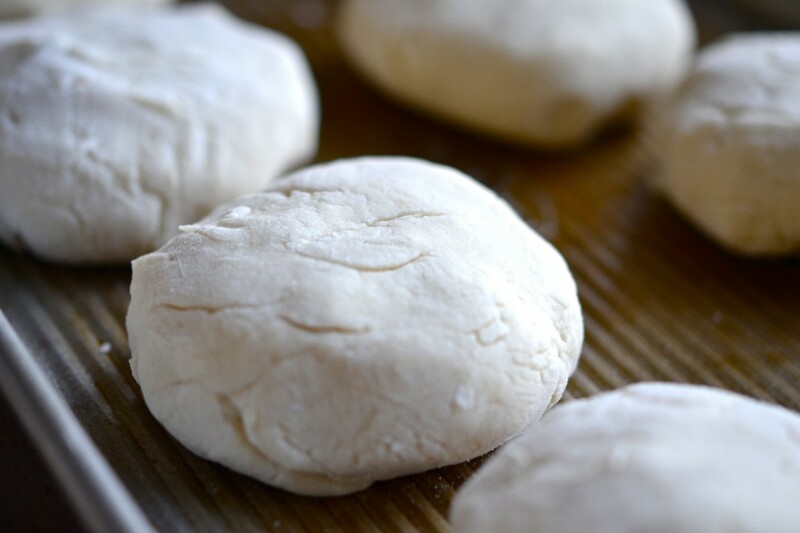 Turn the dough out onto a piece of lightly floured parchment paper. 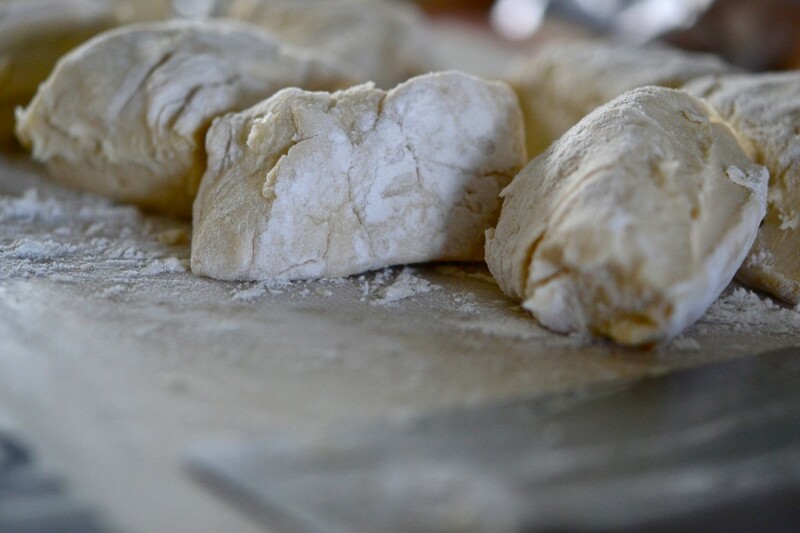 Dust the top with flour, and divide into 6 to 8 portions, depending upon how large you’d like the rolls to be. 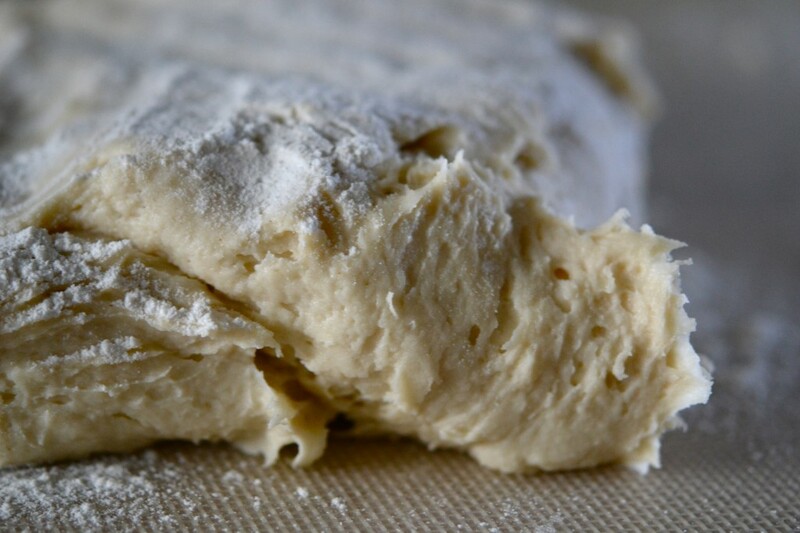 Dust each of the portions of dough lightly with flour so you can handle them. Form each into a ball, and then press the ball down gently into a disk (see photo). Place a couple inches apart on a parchment-lined baking sheet. Cover with plastic wrap and place in a warm, draft-free environment and allow to rise until just about doubled in volume (around 40 minutes). While the dough is nearing the end of its rise, preheat your oven to 375°F and place the baking soda bath in a large heavy-bottom pot on the stovetop to boil over high heat. 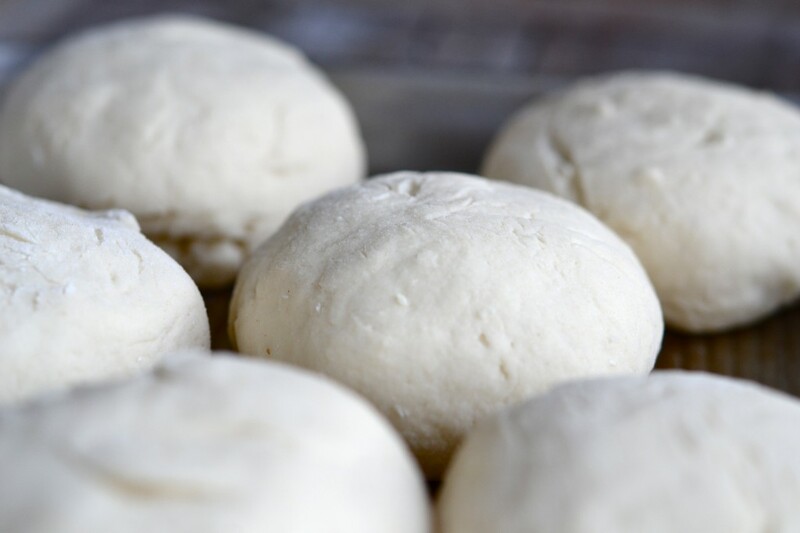 Once the dough is done rising, place the rolls a few at a time into the boiling baking soda bath for less than a minute per side. Remove the rolls with a strainer and return them to the baking sheet. Brush the tops of the rolls with the cornstarch wash and score 3 to 4 parallel lines with a sharp knife in the top of each roll (for puffier rolls, slice more shallow; for chewier rolls, slice deeper). Sprinkle with coarse salt to taste. Place the rolls in the center of the preheated oven and bake until golden brown all over, about 30 minutes. Allow to cool on the pan before serving. 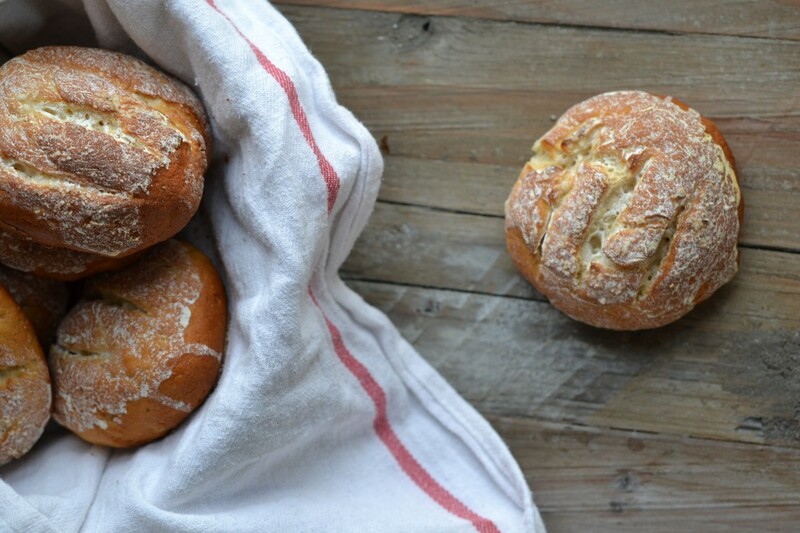 Freeze leftover rolls and defrost in the refrigerator overnight. P.S. If you haven’t yet, please pick up a copy of Gluten-Free on a Shoestring Quick & Easy! With your help, I’ll get my future grandchildren to keep the blog going forever and ever. Do you ever use a bread machine? I got one for Christmas and love love it. I get a MUCH better rise from it than I’ve ever been able to since going GF. But I am still finding my breads to be rather dense. These looks amazing- so making them this weekend! I’m moving this weekend but as soon as my kitchen is straight, these will be the first thing I bake! Yum! 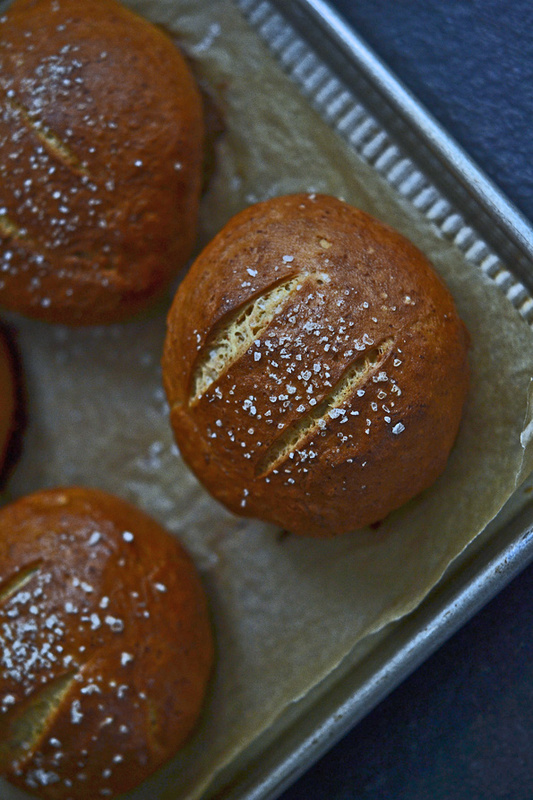 hum…mini pretzel buns for little pulled pork sliders? I know what I’m making on Saturday! I think a soup or dip recipe to go with these is in order! How could I not – they were so so tempting :) Just pulled them out and they look great. 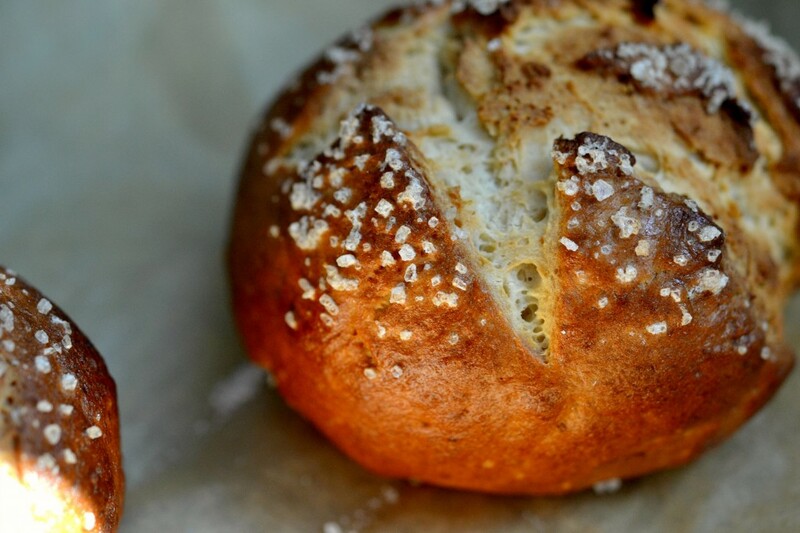 Will have to have my German friend over for coffee and pretzel rolls! She will be so excited. GREAAAAYYYYTTTTT…..my stomach was growling before, but now it’s ROARING…. 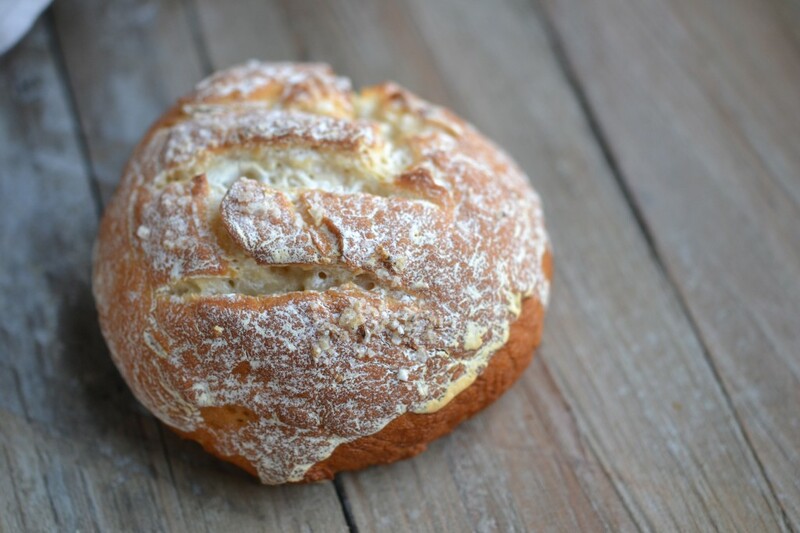 Before going GFree, we would eat pretzel buns regularly, they were becoming more available I found. We have missed them soooo much – a million thank yous to you! These will be a nice surprise for my husband and my kids… who am I kidding – me too! Mmmm….I can hardly wait to try these! Cannot wait to make these!! Thank you! Ooh! Think they freeze ok after baking? They sure do. In the printable recipe, I actually suggest freezing whatever you don’t eat when you make them. I do not have a proofer/room for a proofer/money for a proofer. I have YET to have anything I make with Better Batter rise properly, even with your tips! What the what? Is my yeast mad at me because I make it live in the fridge? I’m sad panda because that flour ain’t cheap and I want bretzels and pizza dough! Help! Yeast should be kept in the refrigerator until you are ready to use it, once the package is opened. The only thing I can think of is whether your yeast is fresh. Otherwise, it’s the rising environment. 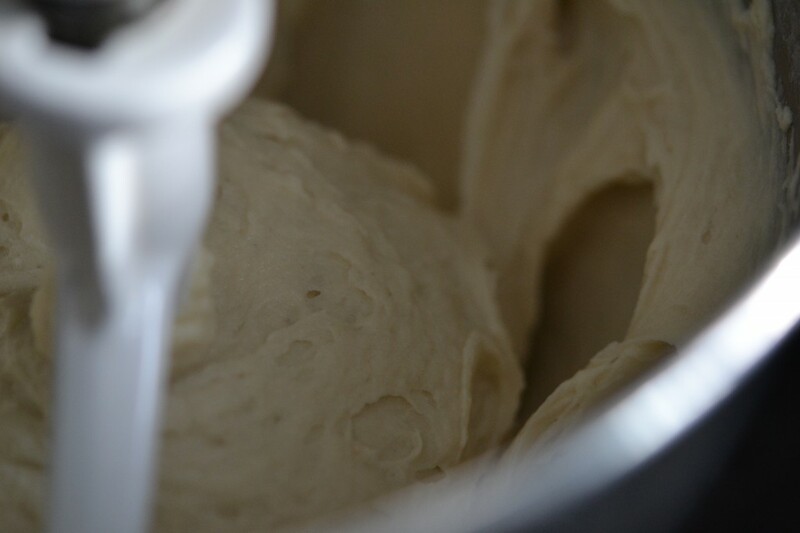 Is it possible that you’re not waiting long enough for the dough to rise? (as I’m typing that, I’m sure that you’ve tried waiting longer, but I’m otherwise kind of out of ideas). Remember that you need a warm, moist environment. 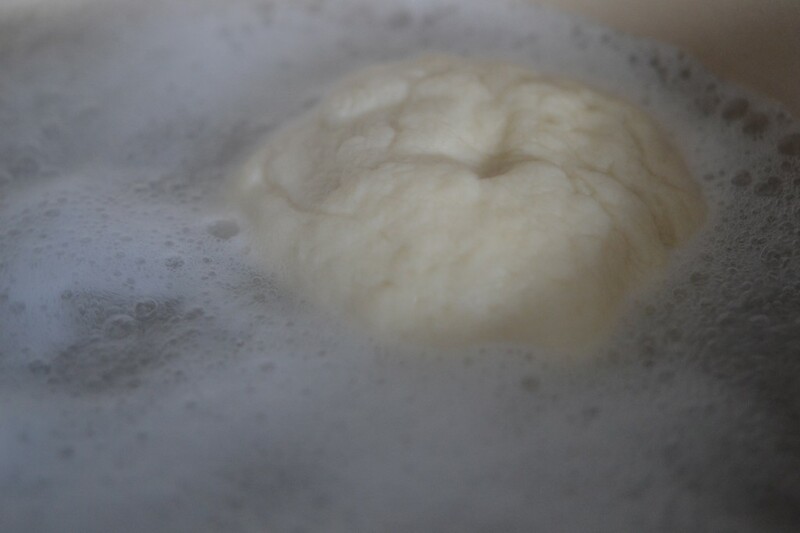 Have you tried spraying the dough with water periodically as it is rising? Sometimes that helps. You can also try spraying the dough with water and placing the dough in the oven, covered with plastic wrap, with oven light on. Not with the oven on – just the light. It gives off some ambient heat. You might want to also put a bowl of hot water in the oven, too, below the dough. I’ll try those. Hadn’t done the spray with water/bowl of hot water tricks. Even with oil on the dough, it still seems to get a crust of sorts and not rise. My pizza dough is a nightmare. :( I’ll keep trying. Thanks!